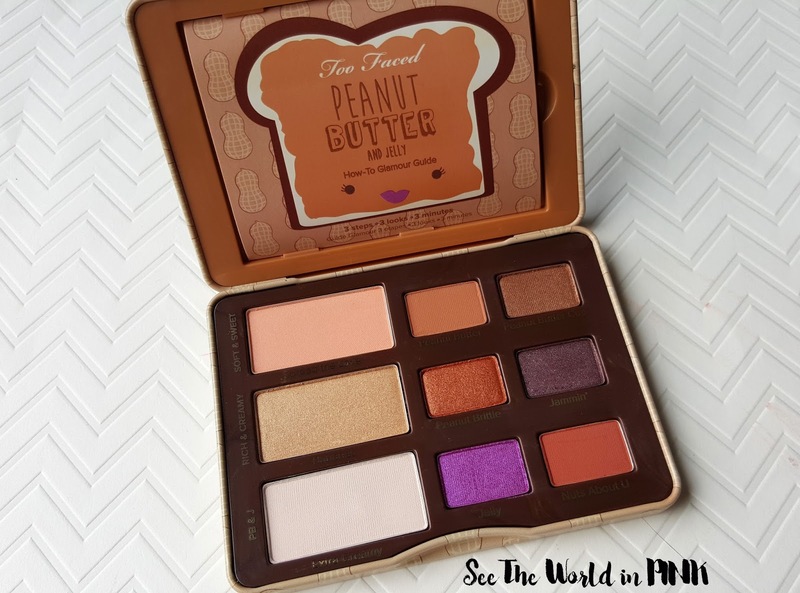 I luckily had a blogging buddy that made a trip to the US and found an Ulta with quite a few of these palettes and mailed them to us! 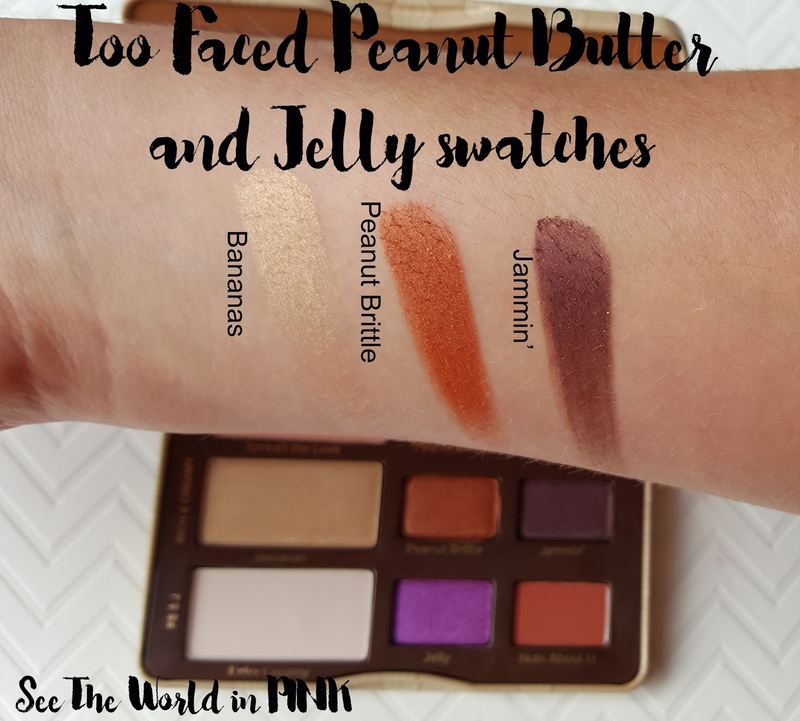 Too Faced Peanut Butter and Jelly Palette ~ $50 CAN on Too Faced and $36 US on Ulta. 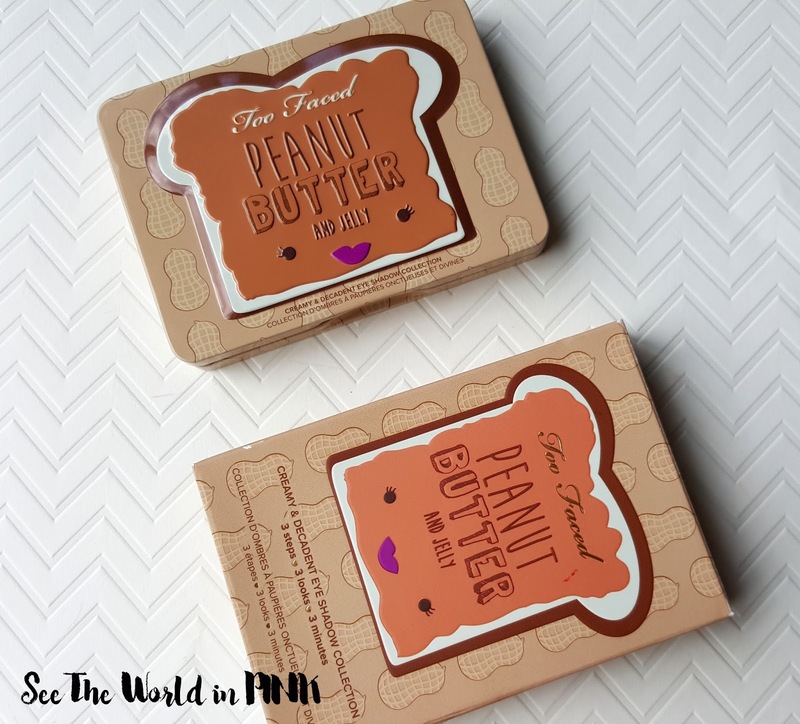 Inspired by the social media sensation that is Peanut Butter from Too Faced's bestselling Semi-Sweet Chocolate Bar Collection, they created this peanut butter palette of nine gorgeous matte and shimmer shades featuring antioxidant-rich cocoa powder with a creamy peanut butter twist! Includes their signature Glamour Guide with three looks to get you started. 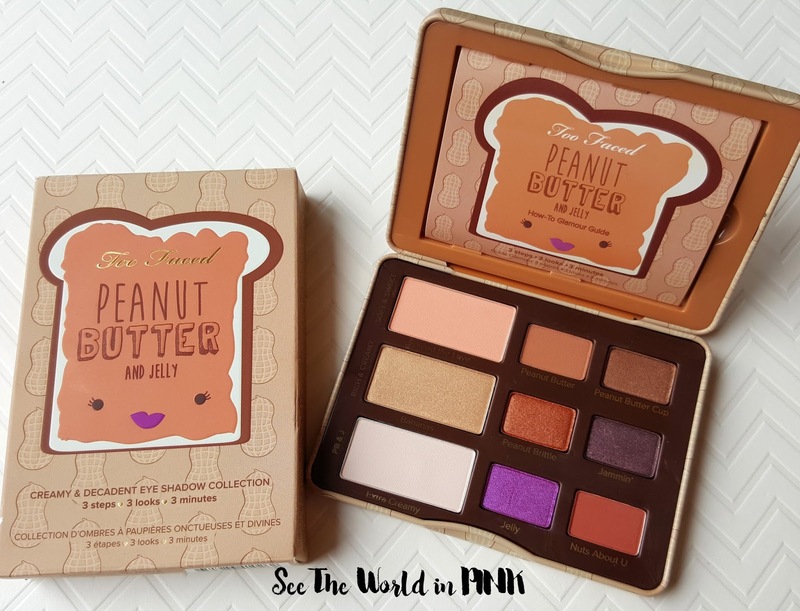 This is a cute little palette - it is a good design and it is quite solid! The only thing I wish is that this palette included a mirror. 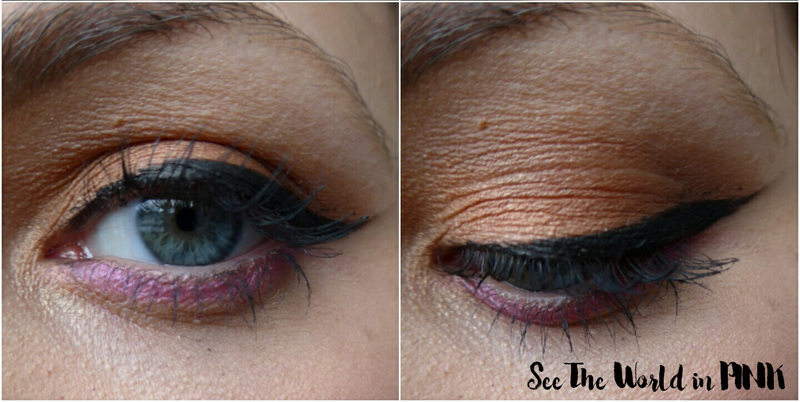 It does come with a "Glamour Guide" so you have a few makeup looks if you aren't sure where to start with the shades! 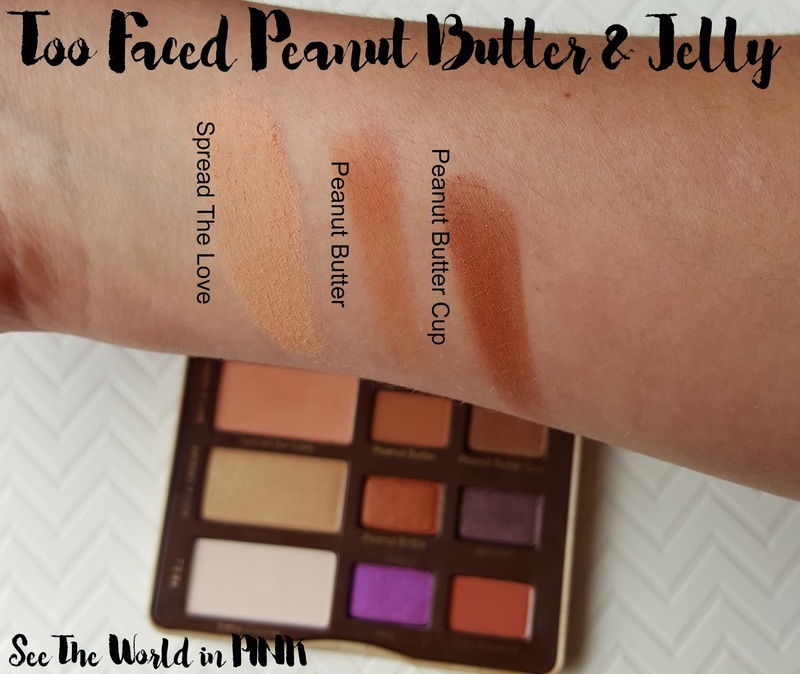 I will say, I love all the shades included in this palette - they are very "me" shades, but I found some of the eyeshadow textures inconsistent. Some of the shades, such as Nuts About U and Extra Creamy were a little patchy when being applied and weren't as pigmented as I expected. The other shades were in between. Overall, with a primer these will all show up great on the lids. 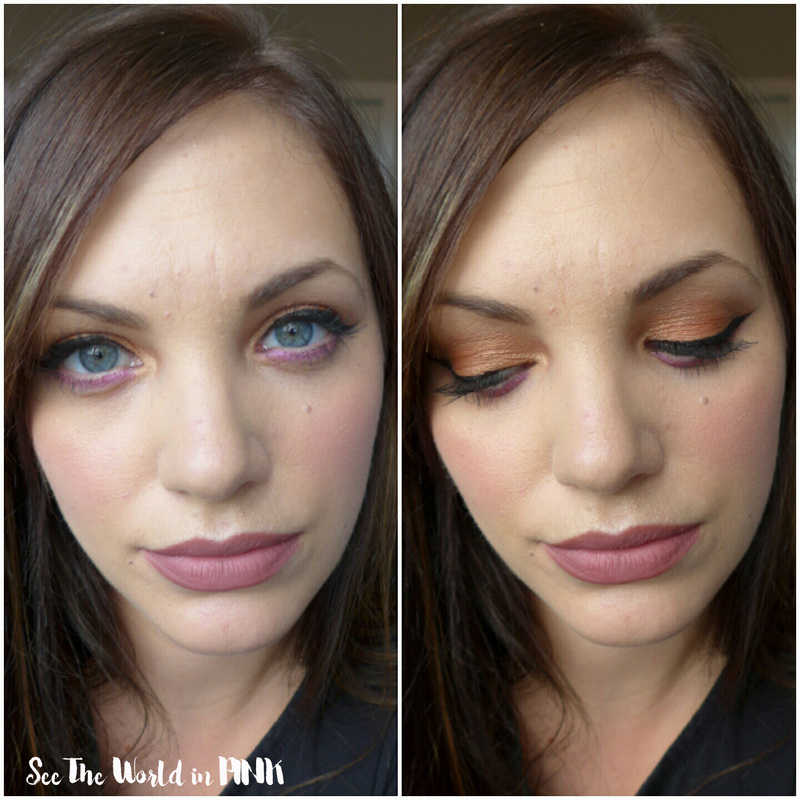 Overall, I love the colours in this palette - I think the combination is really unique and the shades work for me! 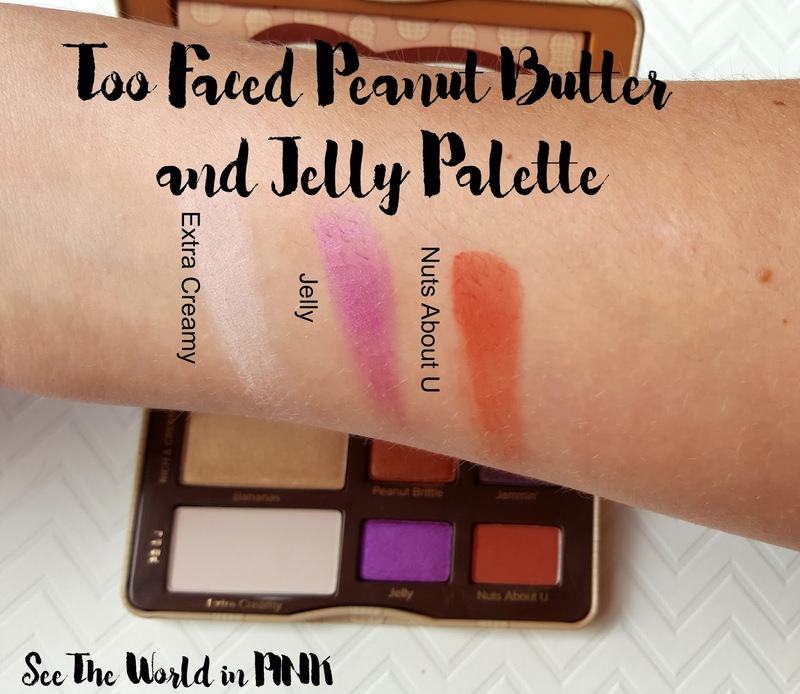 For the eyes, I used Extra Creamy under the brow and in the inner corner, Peanut Butter and Peanut Brittle all over the lid, Peanut Butter Cup lightly in the outer crease and outer corner, and Jelly Under the eye!